In the summer of 2012 Blair Dunlop and Larkin Poe performed the Bob Dylan song ‘I’ll Keep it with Mine’ to a packed Cropredy Festival. Having already performed together on Blair’s solo album it became clear that a collaborative project was on the cards. In Late 2012 Blair and his Producer Mark Hutchinson (Rooksmere Records) headed over to Atlanta, Georgia to spend time with Rebecca & Megan writing, recording and above all… Killing time! When placed together Blair Dunlop and Larkin Poe are more than just the sum of their parts. All three of them have fine voices which, when placed together in the same recording can quite literally make the ‘hairs on the back of the neck stand up’ or melt the heart of even the toughest of men! The blend of folk guitar, Dobro/Lap Steel & Mandolin is truly sublime and the transatlantic rendition of ‘The Month of January’ goes to show what a great pairing this is. 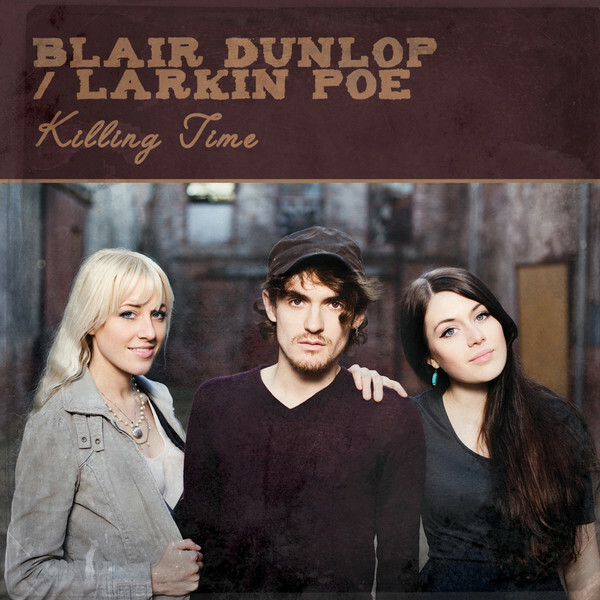 Both Larkin Poe and Blair Dunlop have taken the UK acoustic music scene by storm to date and their collaborative release in 2013 took it all to a new level!